During the month of January, the Martha’s Vineyard Playhouse will hold a film series to honor one of its longtime supporters, actress Patricia Neal. “Her birthday is Jan. 20,” playhouse artistic director MJ Bruder Munafo said. “We thought this was a good time to pay homage to a great friend.” The films will be shown at the playhouse’s intimate theater, whose stage is named for the actress. For the next four weeks, the playhouse will devote its Monday Night at the Movies series to the films of Ms. Neal. The series starts on Monday, Jan. 9, with a screening of “The Fountainhead,” the 1949 adaptation of the Ayn Rand novel starring Gary Cooper and Ms. Neal. “I think the four we’ve selected are four of her absolute best,” Ms. Bruder Munafo said. “They show different stages of her career.” In addition to “The Fountainhead” and “Hud,” the selections include “A Face in the Crowd,” which stars Andy Griffith as a nonpolitician whose blunt talk charms the masses and escalates him to political power, and the war film “In Harm’s Way,” featuring John Wayne, Kirk Douglas, Burgess Meredith, Henry Fonda, and Carroll O’Connor. Ms. Neal began her acting career in the theater. She won the very first Tony award for Best Featured Actress in a Play at the inaugural Tony Awards in 1947. After making a name for herself in Hollywood, Ms. Neal revived her theater career and continued as both a screen and stage actress. Ms. Neal was known for her distinctive deep voice and for playing tough, independent, often sharp-tongued heroines. The four films selected by the Playhouse are a showcase of the actress’ talent and individuality. Ms. Neal’s life, which was chronicled in a TV movie in 1981, was marked by a series of calamities. She married the writer Roald Dahl in 1953, and had five children with him. The couple’s only son, Theo, suffered brain damage as an infant when he was struck by a New York City taxicab. Two years later, firstborn Olivia died of a childhood disease. In 1965, while pregnant with her final child, Ms. Neal suffered a stroke, and was in a coma for three weeks. The baby, Lucy, was born healthy, and Ms. Neal was able to return to the screen after a lengthy recovery. In 1968 she earned an Oscar nomination for the film “The Subject Was Roses,” and continued acting in TV and film roles throughout the 20th century. In 1979, Ms. Neal bought the home in Edgartown that she occupied for half of every year until her death in 2010. Ms. Neal was a faithful supporter of Island institutions, including the Possible Dreams Auction and Camp Jabberwocky. 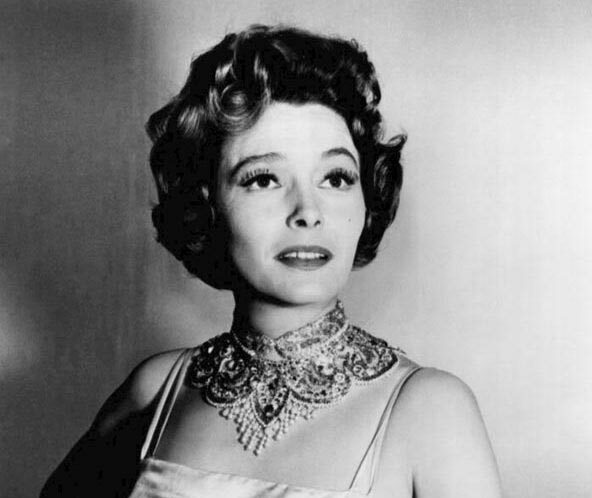 Monday Night at the Movies tribute to Patricia Neal will take place the next four Mondays of January. Films start at 7 pm. Tickets are $5. Jan. 9: “The Fountainhead,” Jan. 16: “A Face in the Crowd,” Jan. 23: “Hud,” Jan. 30: “In Harm’s Way.” For more information, visit mvplayhouse.org.